not a single one i liked made it in. People who submitted multiple Warpaints only got one into the mix. Wizardraco made a few excellent ones but only got one in, which imo was not his best one. How about a runoff vote on the top three vote getters? yea they misled again. was supposed to be a contest submission. then all entries voted on to narrow down the field. then a final vote of a select few. seems like johnny asscracker just pulled the 10 he liked from the submissions and handed us a choice of which **** burger we want to order. I am very happy that there are so many other creative and passionate artist/designers in the War Commander community. I have really enjoyed looking at all of the entries that where submitted for selection. I know that the final 10 designs to be voted on has met with criticism, I would say please keep in mind that there are likely many things that Kixeye must adhere to, went making their choices. Personally I would like to see more competitions like this in future, I know the game would be richer for it. As the creative portion of the community we can positively effect this by doing everything we can to promote these contest and therefore promote War Commander as a whole. 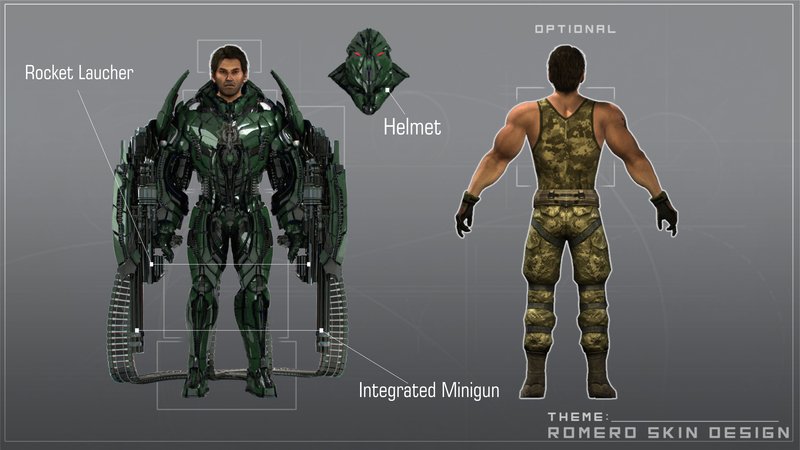 Romero is different than the other uniques because he has reality-based weapons and abilities. It would be pretty cool if kixeye expounded his warpaint selection on that!! one of the super-cool things about WC is that there are many feature types that appeal to different players. Even units. Some units are reality-based, others are inspired from sci-fi, fantasy, or even other games. Stuff like this lets different types of players really enjoy their own version of WC. 12 different Titan warpaints is a bit of overkill. It is a sci-fi unit no matter how you paint it. 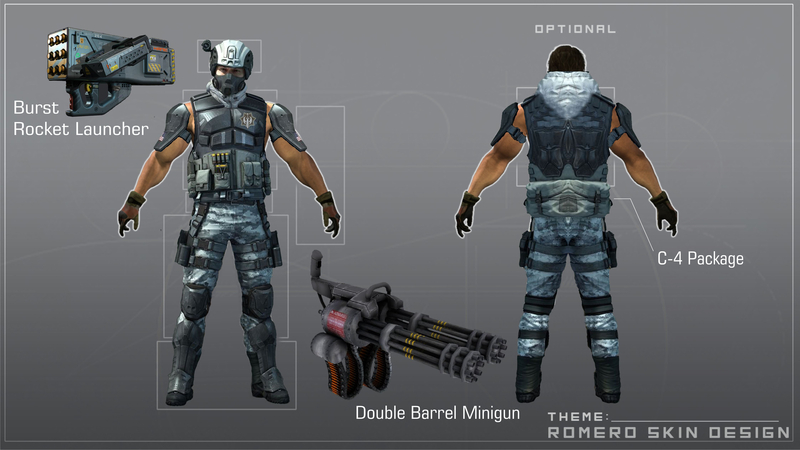 But think of Romero...He's already obviously Rambo...The player could make him whatever they want to because he is a person. Use the hell out of that!!! Duke Nukem, HALO, Jurassic Dinosaur, Assassins Creed, Rocky, Mafia guy, Luke Skywalker, Sheila, Alien, Rick Grimes, a Farmville character (that was pure awesome; I would sooo attack someone with a friggin' actual tractor ) Literally anything. Because why not!!! I wanna be able to log in and have Romero play a different character every day of the week!!! I wanna pwn someone with a big green t-rex wielding a rocket launcher!!! Because why not? Imagine if that could actually be a thing!! !